This weekend I decided to jump back into cooking, and what better way then with a gooey cheese-laden recipe. Is there such a thing as too much cheese? I’m pretty sure there can’t be. 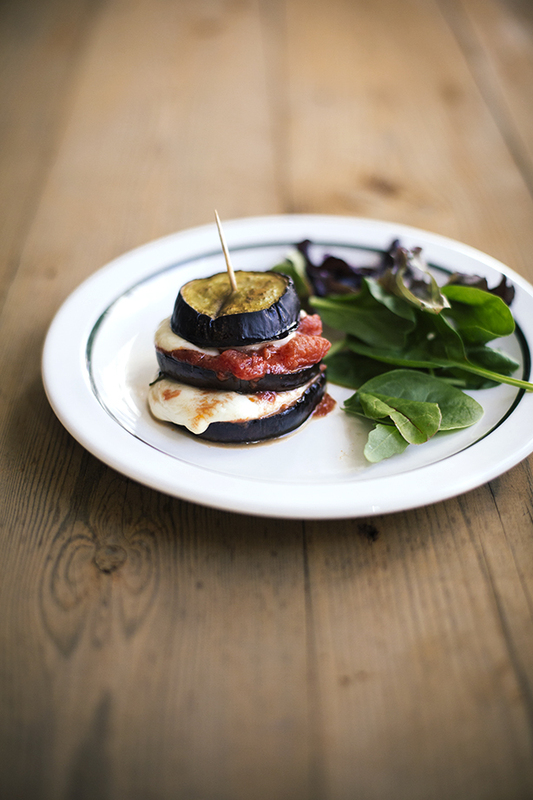 Aubergine and mozzarella stacks: I can’t claim credit for this recipe, it’s actually one from the Sarah Raven book, ‘Food for Friends and Family’. 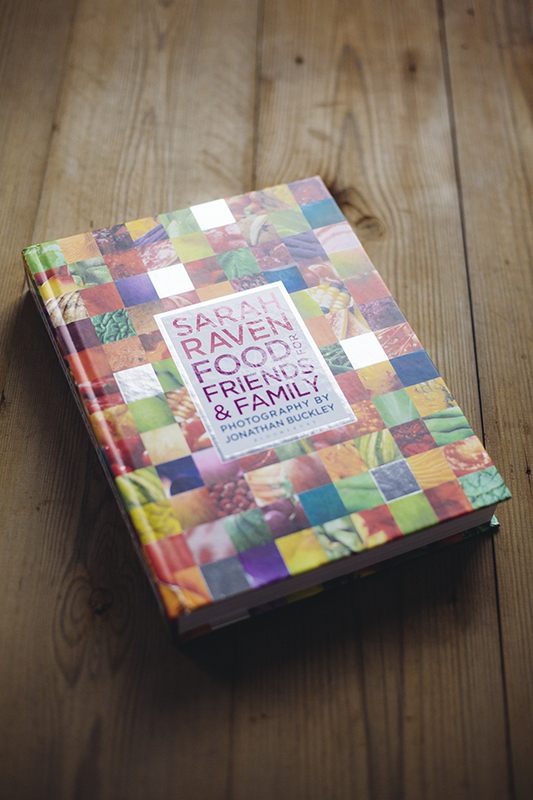 An amazing cookery book that my Mum introduced me too (thanks Mum!). 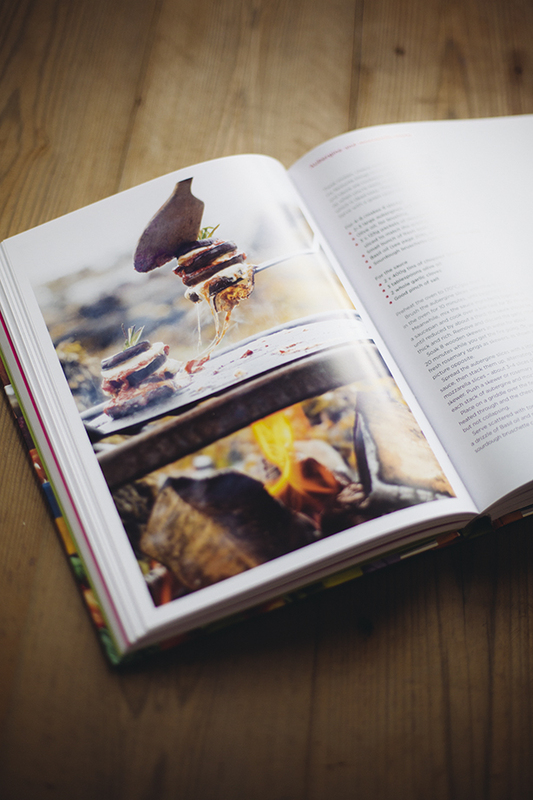 In the book, Sarah recommends cooking the stacks on a fire, but that wasn’t an option for me. Instead, I baked them in the oven and they worked just fine. Be prepared to get messy when you’re eating them though – acquiring a ‘mozzarella chin beard’ comes as standard, so eat among good friends! Here’s the link the Sarah’s recipe. Perfect for summer BBQ’s, and sure to satisfy any veggies you have round for dinner. 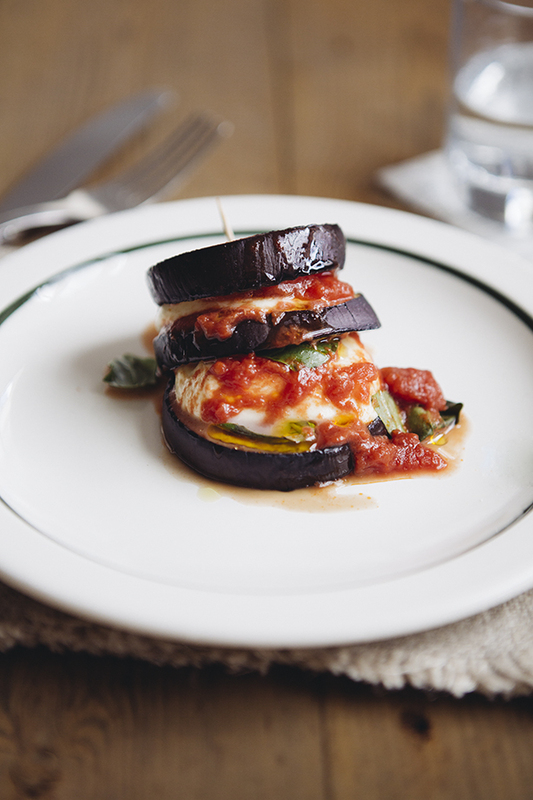 Its been a while since I’ve tucked into an aubergine dish, so I will be make this dish, thanks for the link but I still want to ge the book from the libary to flick through the book. Made me smile your ‘mozzarella chin beard’. These look so much more appetising than me making it lasagne style in a dish. Shall give these a go next time. Glad you’ve got your cooking mojo back.